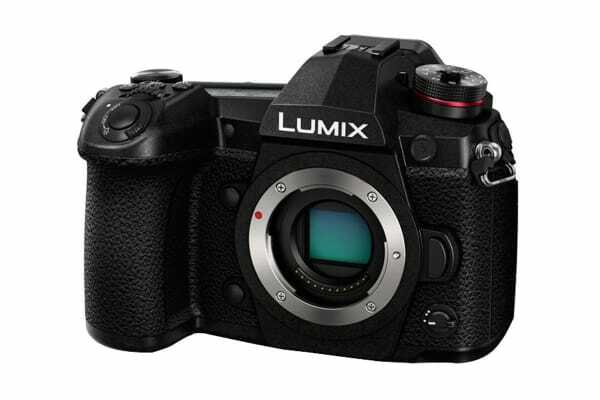 The Panasonic Lumix G9 is a compact, lightweight mirrorless camera that is designed for photo and video enthusiasts. It features a 20.3-megapixel sensor that captures high quality photos and 4K videos for artists and content creators. A high-resolution special mode yields 80 megapixels in RAW recording by shooting the 20.3-megapixel sensor 8 times to create a single image. A massive, super high-resolution 3,680k-dot OLED Live View Finder (LVF) improves visibility for perfect framing even under direct sunlight. With Panasonic’s highest-level 0.83x magnification to date and a long 21mm eye point distance, it is excellent for people who wear glasses. 5-Axis Dual I.S. 2.0 (Image Stabiliser)* intelligent compensation yields the equivalent of 6.5-stops in slower shutter speed. Shake is nearly eliminated in both body and lens even while telephoto shooting. It also works in both photo and video recording, including 4K video. Even lenses not equipped with Optical Image Stabilisers (O.I.S.) 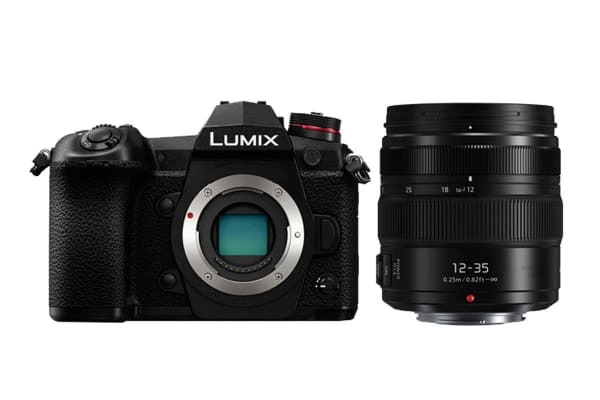 can benefit from the Lumix G9 in-body image stabilisation. *5-axis Dual I.S. 2.0 works when attached with compatible lenses. A new status LCD instantly confirms the camera’s settings. 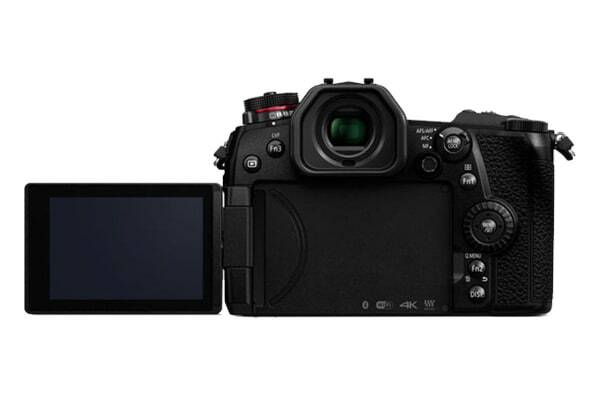 Convenient for shooting with frequent settings adjustments and for simply framing with the viewfinder and rear monitor! The shutter unit is durable for approximate 200,000 times release. Not only does it offer the highest shutter speed at maximum 1/8000 to capture fast-moving, spur-of-the-moment shots, you can also achieve impressive de-focus effects with fast aperture lenses under bright light. The Lumix G9 delivers outstanding video performance with high-precision, silky-smooth 4K 60p recording (QFHD 4K: 3840 × 2160/MP4). Plus, high-speed video recording yields a dramatic slow motion effect in 4K (60 fps maximum 2x slower [30p playback]) or Full HD (180 fps maximum 6x slower [30p playback]) quality. A Joystick Controller on the back can be used to smoothly and intuitively select focus blocks inside the focusing area grid overlay. A 225-Area AF focus detection area has been massively increased from 49 to 225 points. The Custom Multi AF mode enables free selection of blocks inside the 225 focusing area. A conveniently located function (Fn) lever lets you quickly switch between precise custom settings. Great for instantly changing from RAW to JPEG or shooting while switching between colour and monochrome. USB power supply compatibility. Shoot while connected to the battery charger and eliminate worry about remaining battery power. A useful feature for nature photography when you need to wait patiently for the shot to happen! The Lumix G9 is built tough to withstand heavy professional use. It is freeze-proof down to -10°C in addition to splash/dustproof construction, thanks to weather sealing on every joint, dial and button. A magnesium alloy full die cast armour frame makes the body lightweight yet durable while bringing ruggedness to the compact size.